Have you ever thought about living on Lake Minnetonka? 559 Park Lane is the perfect opportunity! This listing is a tear down and provides the option to build your perfect dream home on a large .43 acre lot in Orono on North Arm Bay. 559 Park Ln is located on a non through street with many mature trees; offering a perfect setting for privacy and seclusion. Not only will you be able to pick every detail as you build your new home but you’ll also be in the sought after Orono school district. This lot is wonderfully located with quick access to Highway 12 and close proximity to Lakeview and Burl Oaks Golf courses. On a nice hot day, head on over to Sandy Beach to build sand castles and splash around. If you love to be outdoors, imagine how life could be different as you jump on your wakeboard, fish for walleye, take a morning dip or pull your friends on a tube on a lazy Sunday. 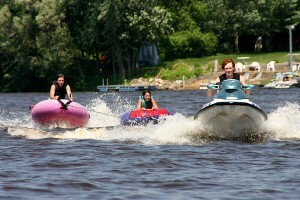 (If you were wondering, wakesurfing is similar to wakeboarding, however the rider is not attached to the boat. The rider trails behind the boat catching the wake the boat provides. Want to learn more? Click here. Why Orono? 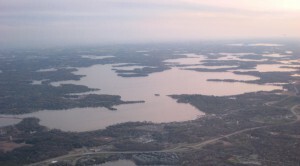 The benefits of living in Orono are the abundance of shore line along Lake Minnetonka (there are over 8 miles of lake shore within the city limits). You will enjoy the rural/private feeling of living in the country while being within extremely close proximity to the Metro. With its population of 5,117 you can actually get to know and enjoy your neighbors. With its many beaches and trails, you will always have the ability to do many activities. Hop on the Luce Line trail, visit Wolsfeld Woods, or walk through the Wood-Rill preserve and take in the wildlife. Orono’s philosophy: To protect and preserve our many natural resources and open spaces.